For 7 years I ran a wedding ecommerce business, The Wedding Crafter, starting it in my back bedroom and building it up before selling in April 2011. Key to its success were high ranking on Google searches. We were number one on Google for several of our target generic key phrases such as “Make wedding invitations” and “Make wedding stationery” and well placed for many others. We also ranked highly for many individual products. We got around half of all our customers from Google organic search (i.e. not paid search) so it was vitally important. If you want to be right up there and bringing in lots of prospective customers, what should you be doing? Make sure the keywords people use to search are included in your web pages and their title tags (the text which appears in the top of your browser). For example, all our wedding invitations kits had the phrase “wedding invitation kit” included in the title and description. If you cover a limited geographical area, specify this. It can be easy to forget these basics but they are essential to attracting the right visitors. Although we didn’t have a blog as such, we had sections – how to projects, tips, news – which were updated regularly. And these attracted links from both brides to be and bloggers. You can never be sure which will get attention, however. A very short piece on “How to line an envelope” got picked up by a blogger and was one of our most popular articles. 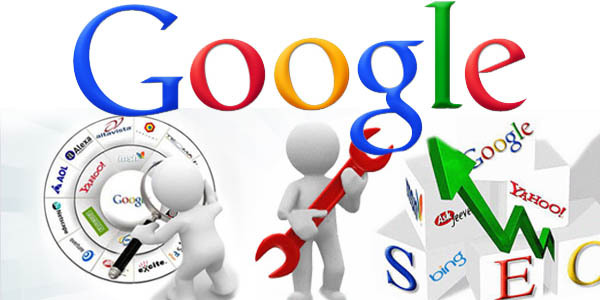 Links like these boost your search rankings and also bring visitors directly to your site. While links from small blogs etc are great, what really boosted our Google rankings were links from highly ranked sites like Money Saving Expert, The Guardian & Telegraph. PR can be a good way to get this type of link, but it does take time and effort. How important this is to you will depend on your type of business, the level of competition and whether you are operating within a limited geographical area. If you want to be on page one for a phrase like “Wedding Planner New York” (12 million results) these kind of links will be essential. If your target is “Wedding Florist Bristol” (87,000 results) then a good number of reasonable quality links will be sufficient. The Wedding Crafter operated nationally but in a fairly narrow niche, so while it was relatively straightforward to get onto Page 1, these high value links helped us get into the top 3 spots for most of our target phrases. More and more, Google are building their search results pages from different elements. As an ecommerce business, Google Shopping was very important to us – we updated our list of products daily (automatically) and this brought in lots of traffic. If you are a locally based business, make sure you have a Google Places listing that is well optimised. Reviews will boost your position on Google Places, so it’s a good idea to actively ask your customers to review you on Google. Other things to watch out for are images – make sure yours have keywords in the name – and video. 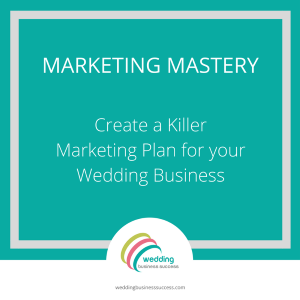 Alison Wren is editor of Wedding Business Success and, since selling The Wedding Crafter, has set up Paprika Marketing – an online marketing consultancy helping small businesses promote themselves through search optimisation, paid search advertising, blogging and social media.